Fidelity's 401(k) team put together a list of trends, including greater adoption of Roth 401(k)s and managed account options. What’s going to take off this year? 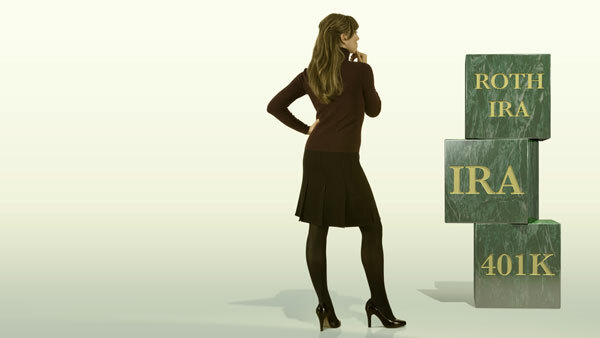 Fidelity’s 401(k) team put together a list of trends it believes will gain a lot of traction in the coming months, including higher adoption of Roth 401(k) and managed account options. 1. Self-directed brokerage windows. To give participants more investment choices, employers are offering self-directed brokerage options that allow them to invest in options outside of the company’s fund lineup. Brokerage windows continue to gain in popularity, with about 26 percent more assets in 2013 than in 2012, Fidelity found. It also found that there were 18 percent more participants using brokerage windows in 2013 than in 2012. 2. Roth 401(k)s. Employers continue to add Roth 401(k) features to their plans as a way to help participants manage the uncertainty of tax rates in the future. According to Fidelity, as of Sept. 30, 2013, about 42 percent of 401(k) plans offered a Roth 401(k) savings option, up from 21 percent in 2009. As more employers add a Roth option, participation adoption and utilization will continue to increase. 3. Expansion of “auto” features. According to Fidelity, nearly one-quarter of 401(k) plans offer auto enrollment, up from 17 percent in 2009. Among large plans, 60 percent have adopted auto enrollment, which is having a positive impact on participation rates. Plans with auto enrollment have an 84 percent participation rate compared to 53 percent for plans without auto enrollment. When combined with auto escalation features, the numbers improve even more. 4. Understanding how your plan compares to other plans. An increasing number of employers want to know how their plan design and participant behaviors compare to other company plans. They also want to understand whether their employees are prepared for retirement. Through the use of new tools and services, employers will be able to get specific in their comparisons and find out if employees are taking the right steps toward a successful retirement, Fidelity said. 5. Increasing use of high deductible health plans. As high-deductible plans become more popular, companies will start making health savings accounts available to help employees save for both current and future health costs in a tax-advantaged account. 6. Managed account options. Fidelity noted that one-third of 401(k) participants had 100 percent of their retirement plan assets in a target-date fund, up from just 3 percent 10 years ago. For younger workers, 55 percent had all of their assets in a TDF. Nearly 1,800 plans now offer a professionally managed account option, up from 489 in the third quarter of 2009, Fidelity found. 7. Plan sponsors concerned with retirement outcomes. Plan sponsors are taking an active interest in the retirement outcomes of their employees. Instead of just providing a defined contribution plan for employees and forgetting about it, they are designing “outcome-based” plans. Companies will continue to leverage new technology and measurement tools to help their workforce understand how to make the best use of their plan and realize what their savings will provide when they reach retirement.